Unless you plan on becoming a landlord or starting a succesful business to create passive income streams, financial independence will be a near impossible task without the help of the stock market. However, many people are reluctant to put their precious savings in the market for fear of losing them all, especially after the horror stories of 2008. In Belgium, for example, only 14.7% of all households hold stocks in their portfolio for a median value of only €5,100 – we are notorious for keeping massive amounts of money in savings accounts. Only three months ago I faced the very same problem: I wanted to enjoy the returns the stock market potentially had to offer, but I had no idea where to start. That’s where exchange-traded funds (ETFs) came in. ETFs are investment funds traded on stock exchanges and invest in assets such as stocks, bonds and commodities. 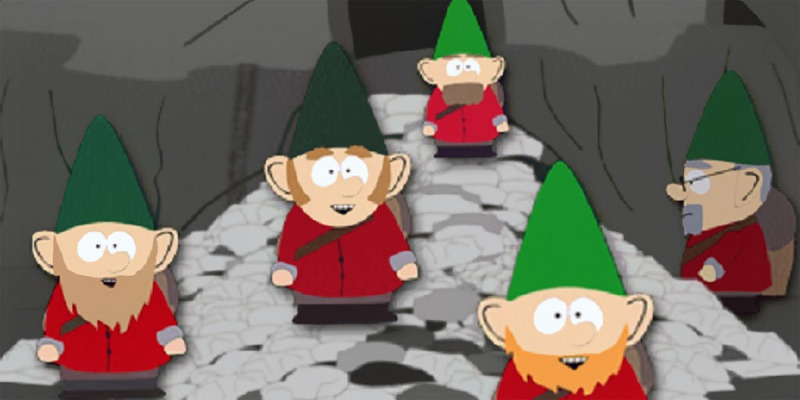 My favourite analogy for ETFs is the hilarious season 2 South Park episode Gnomes, in which the Underpants Gnomes pictured above detail their business plan. Just the like underpants profit plan of the gnomes, exchange-traded funds promise a set it and forget it approach: collect as many shares of a quality ETF as possible, do nothing and reap the profits over the long-term. However, contrary to the boys in South Park I strongly advise against not understanding the second phase, which is where all the ETF magic happens. Generally speaking, an ETF tries to track an index of stocks, bonds, commodities or a mix of all three as closely as possible by holding in its portfolio the contents of the index. Replicated ETFs invest 100% of their assets proportionally to their index and are the ones we are interested in since they are easy-to-understand and the least risky. If you are interested in more complex exchange-traded funds, such as synthetic ones, please make sure you understand their operating model before buying into them. An index follows a given set of rules of ownership that are held constant, regardless of market conditions. It is therefore possible to create your own index. You can, for example, decide to buy the fifty largest corporations worldwide based on their market cap. However, most ETFs follow indices created by index providers such as MSCI, S&P and the FTSE Group. Consequently, you should always check the principles on which the underlying index of an ETF is based before investing in it. Let’s take a look at one of the most popular and well-known indices, the Standard & Poor’s 500, which is based on the market capitalization of 500 large US companies. The graph below shows the performance of the index over the past ten years (click to enlarge). If you bought into a S&P500 ETF on July 12, 2004 those shares would have appreciated by 76.81% in ten years time . 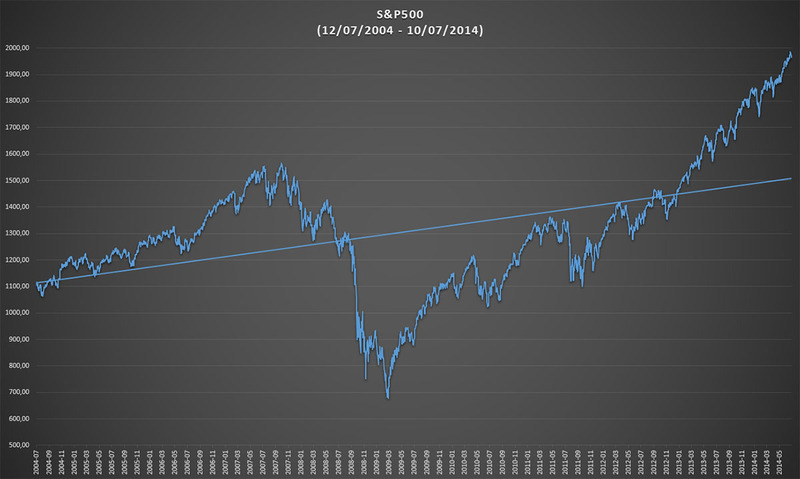 Even in a period with one of the worst financial crises ever the trendline firmly points upwards. Of course, this only holds true in the long-run! If you, for example, bought the S&P500 at its 2007 peak and sold two years later you left a lot of money on the table. This shows that the adage “the market always goes up” is only valid over the long-term. However, buying and holding stocks forever is not a surefire way to stock market succes. Look for example at what happened to the Belgian star-index BEL20 after the 2008 financial crisis: it lost over 66% of its value and still hasn’t recovered. 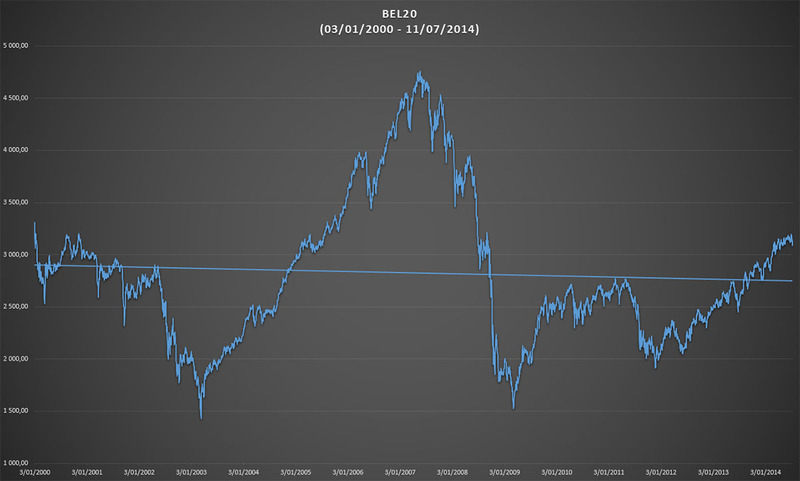 The graph below shows the BEL20’s performance since 2000 (click to enlarge). In the case of the BEL20 it’s likely that it will never fully recover – or at least take an enormous amount of time – because the index was extremely heavy on financial stocks that almost completely went out of business or were bought by competitors (see Fortis and Dexia). Again, if you are looking to invest in an ETF be sure to check what the underlying index is composed of. Make sure the index is diversified enough, both geographically and among market segments. The BEL20 was obviously too focussed on one tiny country (Belgium) and one area of the market (financials). As the previous paragraphs show, ETFs have a lot to offer, especially for people who have a long time frame to grow their capital on the stock market with as little risk as possible. In my humble opinion there are five main reasons why junior investors should look into ETFs to build their portfolio. First, most ETFs are simple to understand. Their indices are clearcut and have often shown to be based on reliable indicators. The Dow Jones Industrial Average, for example, is over one hundred years old and although the companies it is comprised of have changed dramatically over the years, its rules of ownership have remained the same. Most ETFs therefore succeed in lowering the barrier to stock market entry because they allow people to invest in stuff they actually fully understand. If you don’t comprehend a financial product, don’t buy it! Second, exchange-traded funds offer instant diversification. Some indices cover multiple markets and span different countries. One of the best examples in this regard is the MSCI World index, which consists of over 1,600 companies across 23 developed markets. If you don’t have the cash on hand to diversify with individual stocks an ETF might just provide a good solution. Be mindfull, however, that some countries or market segments might carry more weight than others (cfr. BEL20) and might therefore skew the ETF’s diversification in favour of one country or area of the market. Third, ETFs are almost always passively managed, which means that the operation of the fund is cheaper. As a result, the expense ratio of exchange-traded funds is usually lower than funds with an active management. Your portfolio’s performance is, furthermore, not dependent on the whims of the fund manager. Because ETFs are listed on a stock exchange you often pay a commission to your broker to buy shares, so make sure to find a cheap and reliable broker. Fourth, ETFs trade like a stock. The major upside of exchange-traded funds over their non-traded counterparts is that you can look up their actual value at any given time and that your trades are executed immediately. The value of ETFs is, as a result, based on supply and demand, but arbitrageurs often step in to get the value of the ETF in line with its underlying index. The biggest advantage to me, however, is the fact that I get first-hand experience with the stock market without having to buy and sell tons of shares because I made a mistake. Fifth and last, in some countries ETFs provide a tax optimized structure or outright tax benefits. 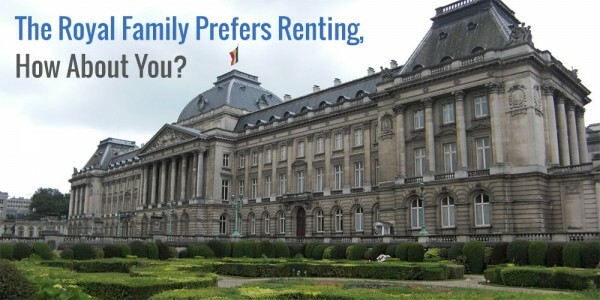 In Belgium, for example, accruing exchange-traded funds that immediately re-invest their dividends are vastly superior to dividend paying funds or dividend paying stocks because Belgium has no capital gains tax, but does have a withholding tax of 25% on dividends. Your mileage may vary of course, so be sure to check your local tax regulations. My money, I should add, is where my mouth is: What I advise here is essentially identical to certain instructions I’ve laid out in my will. […] My advice to the trustee could not be more simple: Put 10% of the cash in short-term government bonds and 90% in a very low-cost S&P 500 index fund. (I suggest Vanguard’s.) I believe the trust’s long-term results from this policy will be superior to those attained by most investors – whether pension funds, institutions or individuals – who employ high-fee managers. I hope this post gives young investors a basic idea of how ETFs work and why they provide an excellent way to enter the stock market. 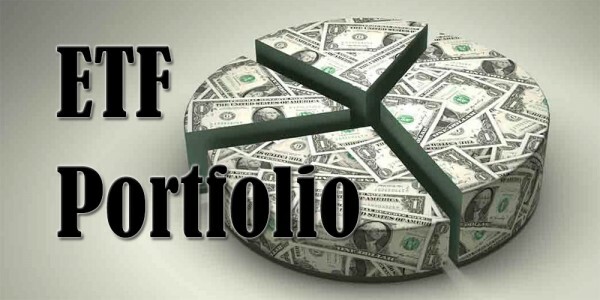 In an upcoming article I will explain my personal experiences and detail my own portfolio’s set-up. Thanks for reading and feel free to share your thoughts in the comments. Great post. Another reason to buy an ETF over a Vanguard Index Mutual Fund is they have a lower buy-in. For most Vanguard mutual funds, there’s a near exact ETF alternative. Good point about the Vanguard mutual funds. I don’t know much about them because I don’t have access to them over here and Vanguard’s ETFs aren’t tax efficient for me. I’m mostly using iShares accruing ETFs since they are hardly taxed (based in Ireland and no capital gains tax in Belgium). FI without investing would be near impossible for me, although our current inflation rate of 0.5% is actually making me richer every day without doing anything. Now that I’m on the stock market roller coaster I better hold on! This is a nice overview on ETFs. The reason why I focus more on dividends and their growth is the fact that stock prices fluctuate all over the place. In fact, there have been times when stock prices in the US have gone nowhere for 15 – 20 years. 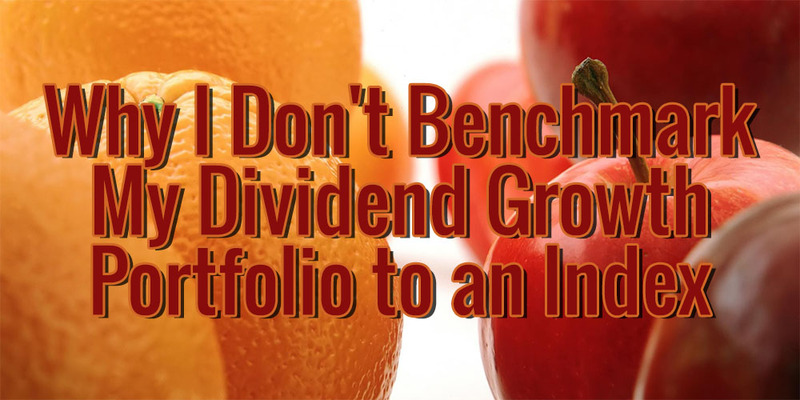 In those events, dividends were the only form of return investors received. Unfortunately, while stock prices are expected to increase in the future, the amount, timing of that increases is uncertain. Just check how S&P 500 did between 2000 – 2012, or 1929 – 1954 or 1966 – 1982. With my dividend stocks at least I have a higher confidence that I will at least earn that check in the next few years ( and it might also grow too). Not sure how it is in Belgium, but in the US, it pays to hold index funds/ETFs in employer sponsored retirement accounts due to tax breaks and employer matching of those savings. You’re absolutely right about the advantages of owning individual dividend paying stocks over ETFs, but for many people that’s just not an option. They either don’t have the background necessary to build a solid portfolio or lack the funds to diversify fast enough. That’s why I remain a big proponent of indexing for new investors. Belgium doesn’t have tax-deferred or tax-advantaged accounts like the US, the UK or Canada does. Because our pension is provided for by the state, only some employers offer an added retirement fund. They’re almost always based on insurance products that you as an employee have no say over because the insurers are required to meet at least a 3.25% accumulative return by law. As you can see, retirement and pensions are more societally organised over here than in the United States! I am just getting started in the investing world. I ‘ve been reading a lot for a few months now and found this website particularly useful and motivational. Keep up this excellent work of yours! As a new investor with a very low starting budget, I am leaning towards ETFs. In order to have diversification, I prefer an all world ETF as a starting investment, like “Vanguard Total Stock Market ETF” or “iShares MSCI All Country World Minimum Volatility ETF”. Any suggestion or hint about global ETFs would be much appreciated. 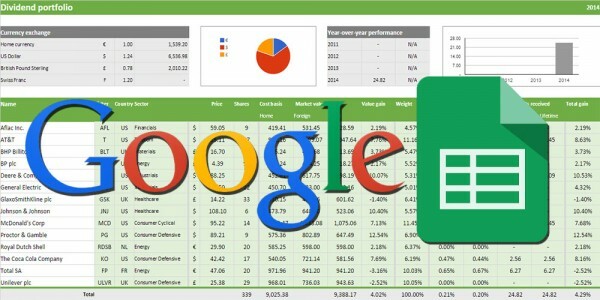 My main source of information on ETFs is ETFDB.com, what about yours?